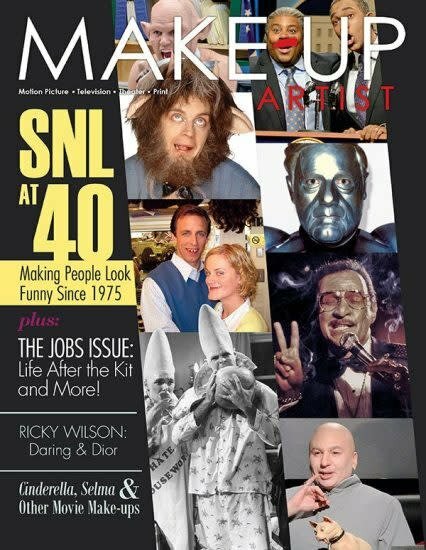 From the Coneheads to Wayne’s World, we cover iconic Saturday Night Live make-ups and the artists who worked on them in our Issue 113 celebration of the show’s 40th anniversary. 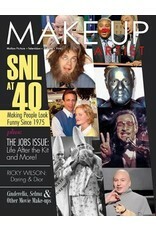 Ever wonder how to make a lateral move in your make-up career? Check out our jobs coverage! PLUS: Recap of IMATS Los Angeles 2015; conversation with beauty artist Ricky Wilson; and the make-ups in Selma, Jupiter Ascending, Seventh Son and Cinderella.